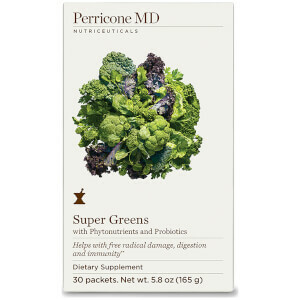 Perricone MD’s Super Berry and Acai Supplement packs a powerful punch of antioxidants to protect against damaging external aggressors, whilst combatting signs of ageing. The dietary powder contains Acai, which not only provides an instant energy boost but is also packed to the brim with essential amino and fatty acids. Conveniently packaged for effortless use on-the-go, the formula helps promote good cardiovascular and digestive systems and supports healthy muscles.